We're Cultivating a New Look! Refreshed logo. Same exceptional bank. In the Fall of 2017 Centennial BANK will debut a fresh, new look. You will start seeing this new look on our buildings, the website, the mobile app, throughout social media, and on bank materials. 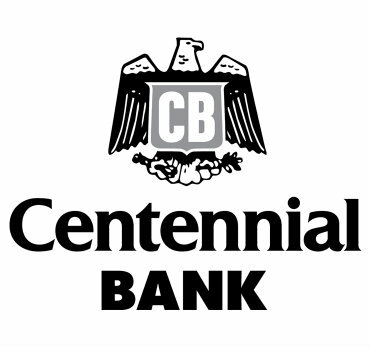 Why is Centennial BANK changing the logo? Our name will remain the same. Just the logo is getting refreshed. It's been a while since we've updated our look, and it's very important to us that we continually evolve and put our best foot forward in the communities we serve. To stay current, modern, and to prepare us for the future, we have chosen to update to a clean, sharp, and timeless look. Is ownership changing or has Centennial been acquired by another bank? Our ownership, leadership, employees, and values remain the same. We have not been acquired by another bank. We have not sold or merged. How will this new look and logo impact me and my account(s)? You will experience no changes to the way you use our banking products. Your debit cards, checks, gift cards, deposit slips etc. can continue to be used without interruption. Checks, debit cards, and bank forms with the old logo will still be valid and can be used without any issues. Will I receive a new debit card or new checks displaying the new logo? When will the new look debut? Our signs will start changing on our buildings during the month of September and should be completed by the first of October. You will start to see new ads reflecting our new look in October 2017. The website, mobile app, and social media will change over to the new look in October as well. We are very excited and think you are going to LOVE it! After looking over many logos, we've decided on one that has a great story behind it. It includes elements of our history with a look that prepares us for the future. Through our new branding, we want to articulate that we are a thriving, evolving bank that recognizes that providing an outstanding customer experience is the most important part of what we do every day. I have more questions. Who can I call to answer them? We encourage you to speak with your local community banker about any concerns you have related to the refreshed look. However if you have specific marketing questions, please feel free to call Kathy McDowell at 806-775-8045.